The clothing business is one of the most popular among entrepreneurs. That is why so many are trying to learn how to start an online clothing store. Whether it is because everyone wears them, or they are truly expressive, you probably have your own reason for getting into the business. For most individuals, it is fairly easy to start a company. Simply, register your business, set up a bank account and you’re all set, right? Not exactly. There are several ways to start a clothing company. This post will help you decide how to start a clothing business successfully. Many entrepreneurs want to start right away by making clothing and products. They get right into the t-shirt designs, custom suit tailoring or high end blazers. Of course, not everyone needs to dress business casual on the first day of work. However, to start your clothing company, thinking about sales first can help you succeed. Where are you going to sell? What is a sales lead? Who are you selling to? How much can your sell your products for? These answers will help guide your company towards a definite purpose and initial sales. In contrast, you can start a clothing business by opening a factory. If you are a good operations and process manager, this model may be more profitable for you. By focusing on manufacturing accounting, you can let other people worry about marketing, branding and sales. In the meantime, your business can agree to contracts to manufacture their clothing items. This is a practical and profitable way to enter the clothing business. Of course, you could always develop your own brand down the road too. 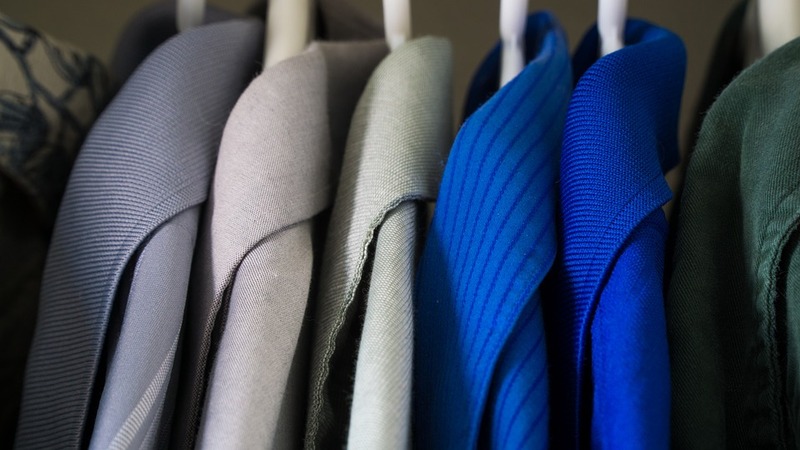 Depending on your current financial situation, you might not be ready to invest in a fully-integrated clothing supply chain management system. After all, most clothing start ups do not purchase a stitching factory. Instead, they purchase inventory through suppliers and then work their way downstream towards manufacturing and upstream towards the customers. To keep costs low, outsourcing manufacturing can help your business get off the ground. If you are 100% committed to building a clothing brand, then you might be able to secure some startup funding. Venture capitalists are always looking for entrepreneurs who can sell to new and growing markets. In the clothing business, new trends are still be invented and an experienced VC can help you scale the business. Although you might have to give up equity in the business, you could end up with a much larger business than growing on your own. No matter which of the above options you decide for starting your own clothing company, there is one thing that you simply cannot forego: a business plan. To start a clothing company built for success, you need to plan the business in a one to two page formal business plan. This document should have key information about your strategy to succeed. A good clothing company business plan includes a general description of the business, an overview of the products you plan to sell, a description of how your business will make and sell the products and a summary of all this information. A training plan is optional further down the line, but no matter which clothing business model you decide on, you must have a business plan written if you plan to go anywhere in the industry. When starting a clothing business, make sure to start small, unless of course you are buying an existing business. Begin by choosing one high demand product to produce and sell. If you are in business for a quick buck, a kitschy t-shirt with a current pop culture reference is enough. But if you want to start a clothing line that lasts years to come, pick a staple that fashionistas and street style trendsetters will love. Make sure it is an item that you can make updates to season after season. This way, you keep manufacturing costs down in the beginning while still offering a valuable clothing item that consumers will love. Depending on your unique strengths and weaknesses, there are a few ways to start a successful clothing company. To be a successful apparel entrepreneur, pay attention to your invest and expected return. Stay focused on who you are selling to and how long it will take to become profitable. Then, stick with your chosen business model. These business decisions will allow your company start quickly and grow successfully.